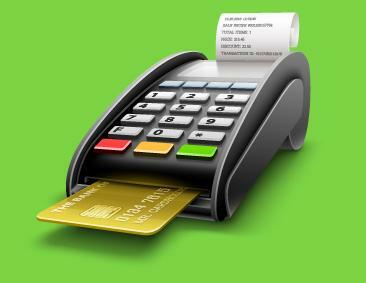 The Green Sheet :: E-Magazine :: Is the countertop terminal dead? Technology solutions must continually evolve or die. We're seeing this play as smart POS systems turn the traditional POS into a vibrant point of interaction (POI). But legacy countertop payment terminals won't disappear overnight, presenting acquiring banks, processors, ISOs and merchant level salespeople (MLSs), typically referred to collectively as "acquirers," with the challenge of managing two vastly different device estates. Forward-thinking merchants are looking for cost-effective solutions that will let them innovate as needed, when needed, to keep pace with consumer demands as well as competition from the digital world of ecommerce. The POI must accommodate multiple forms of payment and leverage data such as loyalty and demographics, locations and times, buying habits, customer satisfaction, logistics, and inventory. Merchants and acquiring institutions cannot afford to ignore innovation occurring in support infrastructure to support robust digital platforms that are increasingly compelling. This includes omnichannel management, bilateral communication for monitoring and data collection, and even seamless integration of value-added apps targeting agnostic devices. The legacy model depends on proprietary devices and support platforms. Most old platforms provide simple download tools, basic remote monitoring and proprietary payment applications, which essentially lock in distributors and merchants by making it too costly and/or painful to switch terminal vendors. But reliance on proprietary technology slows innovation and keeps costs high. To maintain credibility as solution providers, acquirers and the industry's feet on the street need to offer new, more flexible devices even as they continue to service older legacy devices that some merchants are not yet willing to give up. A closed environment is constrained by a relatively small universe of developers familiar with the unique code base, which drives up development costs. That extends to support in the field, where fewer skilled technicians are available to help customers solve their unique problems. This worked when merchants and acquirers were limited in their choices of terminal devices and operating environments. But as we've seen in other markets ‒ mainframes, PCs, operating systems ‒ when a market is too constrained by proprietary locks, innovators in open systems communities will find a way to break out. That leaves legacy providers struggling to compete against a new breed of competitors who are more agile and can leverage a less costly business model. The first crack in the legacy market surfaced when Square recognized that a vast number of people were unable to obtain or afford merchant accounts. By aggregating many of these small businesses and enabling them to swipe cards with smartphones and tablets, Square was able to corral a very respectable user base. But there's a vast gap between the Square model and the traditional, ISO-supported legacy model. Small business owners, for the most part, need a more robust payment solution and the expertise and support of ISOs and MLSs. Many new entrants thought they could one-up the Square model by introducing more sophisticated solutions relying on low-cost Android-based devices. They can deliver solutions with relatively low prices, but they're unable to provide a cohesive infrastructure for distribution and support. These new entrants primarily seek to lock merchants and partners into proprietary back-end support systems or wrap "open systems" devices with a proprietary layer so that merchants and distributors have no freedom to swap in other devices that may better fit their needs. POS systems are quickly evolving into customer relationship management solutions capable of fulfilling consumer needs and just as capable of integrating with other functions, ranging from inventory management to staffing and payroll management. But demand for these systems is vertically driven, requiring the acquiring channel to manage tailored bundles that swap in hardware and apps that meet the needs of merchants across those vertical segments. This new concept of an integrated, multifunction POI requires smart, adaptable devices with substantial computing power. But it also requires expertise to ease the on-boarding process, provide guidance in selecting apps to meet specific requirements. Companies pursuing Square's model are banking on a general purpose, one-size-fits-all approach that leaves merchants to assemble their own suite of payment and value-added apps and little ability to choose among different types of hardware. Merchants will gravitate to solution providers who are able to tap into the creativity and innovation of independent software vendors and tailor solution suites that are flexible and can adapt to changing needs. The acquiring channel represents a proven distribution and support system that merchants rely on to help them choose the right systems, get them installed and provide training. No doubt, we are moving toward a future where merchants can order payment solutions online that when delivered and connected to the Internet will call home for the automated downloading of all security keys, configuration and apps. But that only addresses part of the challenge. Merchants will still look to acquirers for help in getting up and running, managing their devices, and adding or changing apps and hardware as circumstances dictate. What drives success in the digital age is access to information and the ability to put it to practical use. Small merchants don't have internal IT resources they can devote to analyzing data and developing new processes and services. They will be reliant on interaction across acquirer platforms, ISO on-boarding systems, and app developers to put this information to work. Meanwhile, acquirers must be able to manage this new environment ‒ let's call it Merchant 2.0 ‒ alongside the legacy devices in their estates. Upstart smart-POS suppliers can't accommodate legacy devices, but the installed base won't convert magically overnight. That requires an ecosystem that embraces old and new devices within a unified agnostic management platform. This platform must deliver all the benefits of using new device technologies while continuing to support legacy devices. Acquirers remain the logical channel for new merchant solutions even as digital transformation permeates the small merchant environment. The unified agnostic management platform makes it practical to introduce smart terminals and value-added apps while continuing to support legacy terminals. Those who can adapt their business models and extend their market expertise to the new world of open systems can prosper and grow. William C. Nichols is vice president and general manager, AEVI Americas. He has spent his career in Fin-Tech with experience in strategic marketing, sales, operational leadership and new product initiatives in the highly competitive payment industry both in the US and internationally. Contact him at bill.nichols@aevi.com.